Uncover the secrets to a killer multi-touch campaign during this special episode of our Killer Content Showcase Series, where we'll get an in-depth look into Xerox's Finny-winning campaign from Colman Murphy, VP of Digital and Customer Marketing. 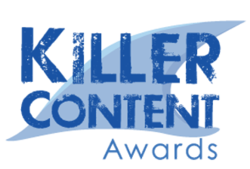 The winners of the Second Annual Killer Content Awards were honored at an awards ceremony as part of Demand Gen Report’s B2B Content2Conversion Conference, an educational and networking event focused on helping B2B marketers develop, map, measure and optimize content marketing strategies. Andrew Gaffney, Editor of Demand Gen Report, said the submissions were judged in areas such as social media and targeted content marketing; educational content that informs and inspires buyers; linking content to measurable, revenue-focused results; using video and interactive content in new and creative ways; and deploying content that drives successful, cross-channel campaigns.